Located in Macomb County, just below the thumb of Michigan, Warren has been an industrial leader in the state of Michigan. 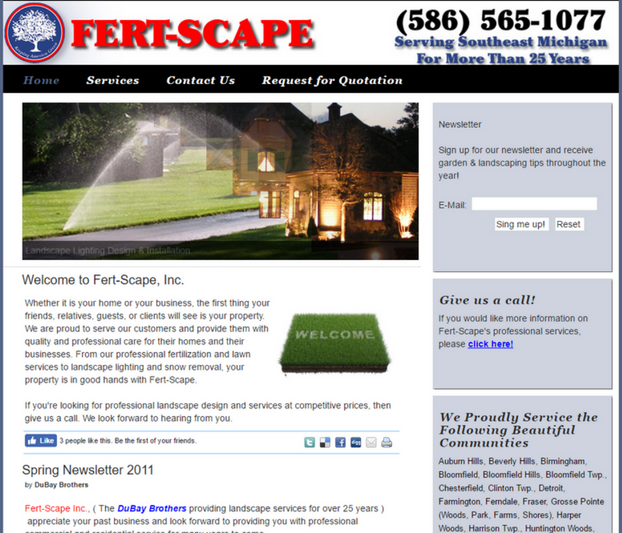 Fert-Scape Inc. is proud to be a leader in Warren in our field of lawn care and landscaping. Serving a rich mixture of properties that cross many economic and architectural backgrounds, we continue to show our versatile talent with our quality of service and approachability to this heavily populated neighbor of Sterling Heights. The history of Warren dates back to the year 1830, when a small settlement was formed near the roads of Mound and Chicago called Beebe’s Corners. It served as a carriage stop for travelers. It had a trading post and tavern, and it produced goods of its own through milling and liquor distilling. Though the area continued to be a popular stopping point, it was not formally incorporated as a village until 1893 as a village. In 1957, it changed its charter to that of a city, and is currently the third largest in Michigan, with a population of 134,056 as of the 2010 census. It is the largest suburb of Detroit. Warren underwent two extended population booms, the first being from 1910-1930, when its residency increased by a factor of 10. The second was from 1940-1970, with its population increasing sevenfold, to a peak of 179,260. The residents of Warren live within a border covering 34.46 square miles, of which 0.08 is water. Interestingly, though Warren is so large, it does not have its own independent public school district. Currently, the children of Warren are served by a combination of six districts – Van Dyke, Warren Woods, Warren Consolidated, East Detroit, Fitzgerald, and Center Line. All of these individual districts are overseen by Macomb Intermediate, which coordinates the efforts of many districts in the eastern suburbs of Detroit, and is headquartered in Clinton Township. Warren is also home to two notable private high schools. Regina, which is an all-girls school, and De La Salle Collegiate, which takes only boys. In terms of neighborhoods, Warren is divided into four sectors – northeast, southeast, northwest, and southwest. They all have their respective zip codes, along with a diverse architecture of houses. 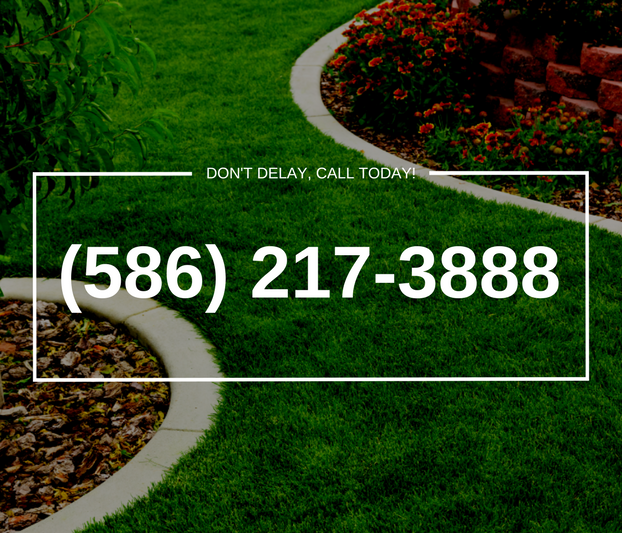 Fert-Scape Inc. caters to all types and sizes, and has the knowledge to install a landscape that will fit the look of your house and layout of your property. The businesses district of Warren is just as diverse in size as the houses. There are numerous small, locally-owned businesses of retail, industrial, and service businesses similar to Fert-Scape Inc. Warren is also home to many larger automotive suppliers. Its largest employer, however, is General Motors, which has 17,000 workers at its facility within the city. The military, in the form of TACOM, headquartered at the Detroit Arsenal, is the second largest, at 6,500. Another major automaker, Chrysler, is third with 4,200 workers at its plant. In addition to automotive and military, other industries are health care, furniture, and various manufacturing industries. For those looking for outdoor recreation, Warren has a community center, along with 24 named parks. The individual parks vary in their recreational caterings, with some being more sports oriented, and others for more tranquil nature watching and picnicking. The Anne Fracassa Memorial Dog Park is a one acre park within Burdi Park, catering specifically to canine family members. Warren also has a symphony orchestra, with no shortage of concert dates throughout the year. For fresh, locally-grown food, visit the Warren Farmer’s Market. Open every Sunday from May through October, the dozens of vendors are joined by entertainers for the enjoyment of their customers.